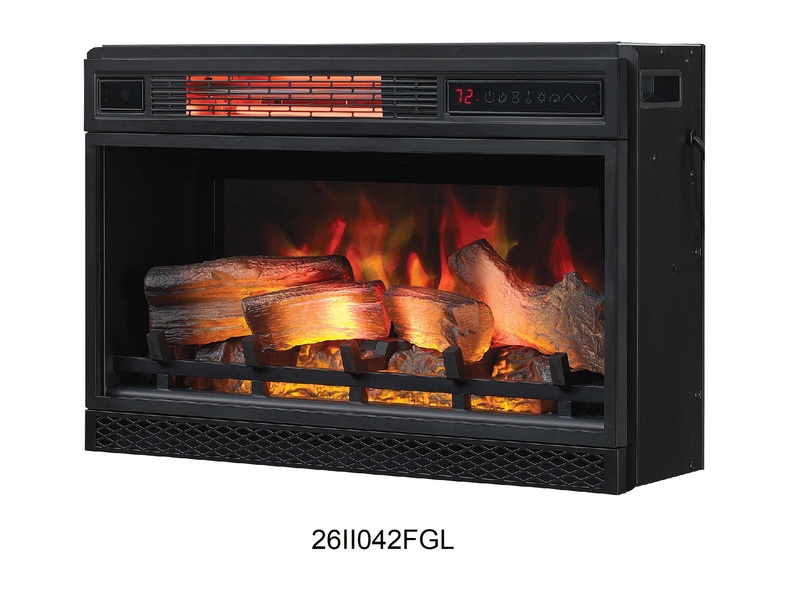 Costa Mesa Fireplace Mantel Product Description (included with purchase): Update any room with the Costa Mesa TV stand for TVs up to 80" and up to 155 lbs. 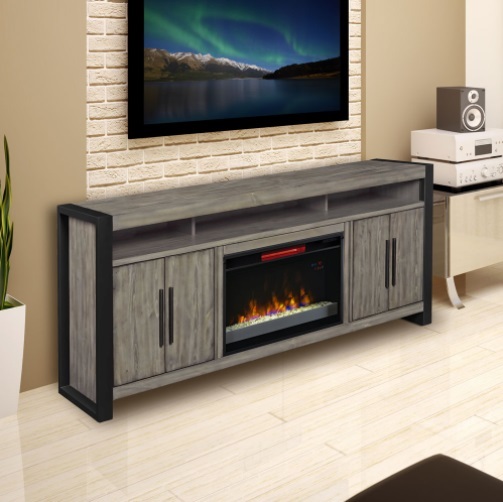 This unit mixes an Spanish Gray finished wood with black powder coated frame and hardware to create a stunning industrial look. 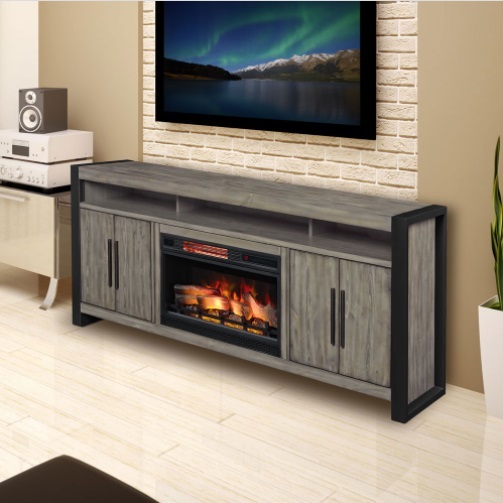 This unit provides tons of storage for multiple media components and two side cabinets with double doors and adjustable shelves. 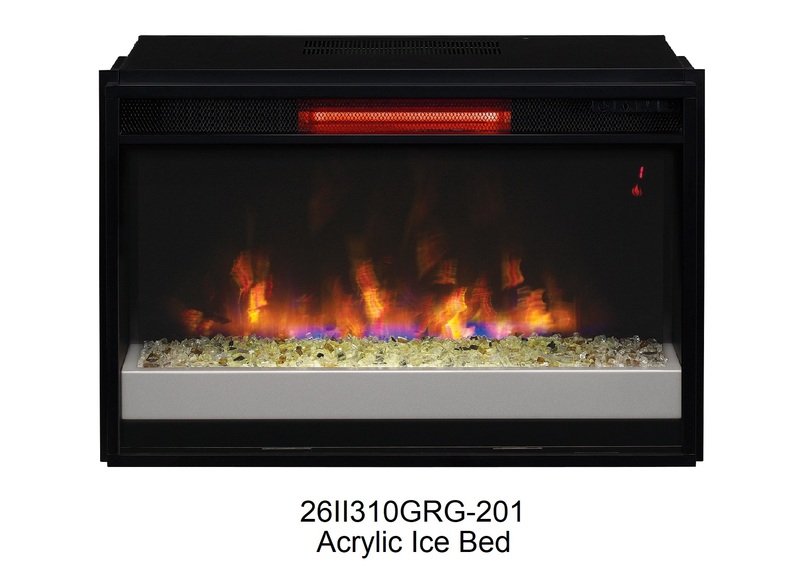 Customize your TV stand with a ClassicFlame 26" electric fireplace insert.